If you’re anything like me, you want to maximize your savings, but there could be a time when you want to use a specific retailer for some reason and they, unfortunately, don’t have the best price. This is where price matching comes in. And fortunately, a lot of retailers will price match as long as you abide by the retailer’s rules. I will get into this in a few. Since it can be time consuming and confusing in some cases to research these said policies, I went ahead and researched the top retailers, their price match policy and included my findings below. Now, before you head to the retailer or make your purchase, just make sure you confirm with the retailer’s website as these policies can change quite often. To confirm these policies, I did include a link for each retailer for reference purposes that you click on to make sure the policy is still in effect. And if they didn’t have a policy on the website, I went ahead and called a customer service representative and noted that as well. I researched a ton of retailers and those that do match prices will often have the same restrictions. Just purchase the same item via a major competitor, make sure it’s in stock at that competitor, and have proof — usually a sales ad, either digital or in print. You will ALWAYS need to verify your price match. And as long as there are no strings attached to the offer, you should be good to go. 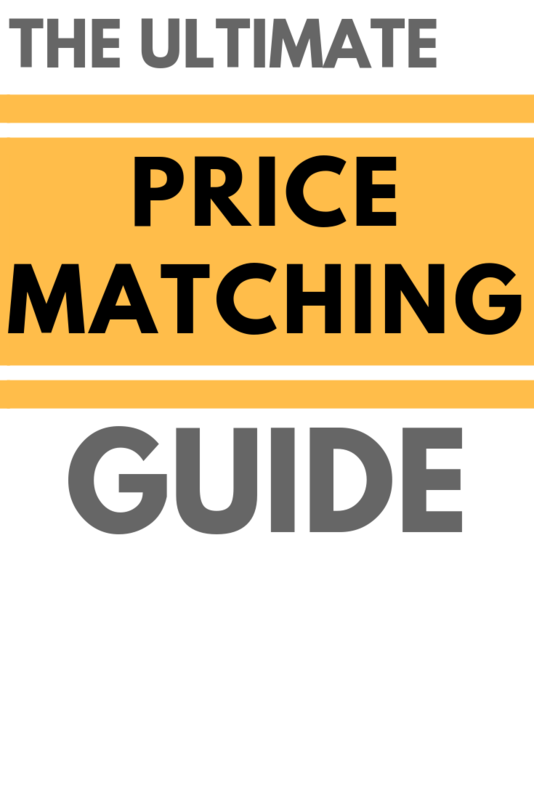 Find the same product, make sure they price match and if so, find out WHO do they price match. As long as it’s a simple straightforward price, you shouldn’t have a hard time getting them to price match as long as they do. This is a VERY long guide, so if you have a specific retailer in mind, you can use the quick menu below. Other than that, the retailers are listed in alphabetical order. NOTE: I try my best to keep this updated, but refer to the official source URL to confirm my findings as these policies can change! While most retailers on this list will only match the price, Academy states they will beat any competitor price by 5%. If you find a price lower elsewhere on an identical, in-stock item, then simply show them the ad at the time of purchase and you shouldn’t have a problem. Prices can also be matched on Academy.com by emailing, faxing or mailing the ad to the store. Refer to the source for limitations and exclusions. Since all Ace Hardware stores are independently owned, your results will greatly vary, but from what I did research online, it appeared most locations will price match. If they do, the item must be identical, in stock and come from a local competitor such as the Home Depot or Lowe’s. To be certain, talk with your Ace Hardware ahead of time to ensure they will match the price. It appears that Adorama will match a price, but in order to do so, you will need to fill out the following form. The company asks for your email, a link to the competitor’s website as well as the link on their website. If the company is able to match the price, then they will send you a special link you can click to make your purchase. The product must be identical, in stock and exclusions do apply, which you can find in the fine print section here. The company’s official parts price match guarantee notes that the company will, in fact, match any comparable product available at any competitor’s store or website, including their own. If they do match the price, it needs to include the total shipping charges in the price of the product, and the price must be valid at the time of the request. Some exclusions do apply, but you can view them via this URL. Sadly, Amazon DOES NOT offer any price matching as per its customer service page. This includes TVs, which they discontinued a while ago as well. I didn’t find much in terms of a price matching policy on Apple.com, but when I contacted them, they said they might, depending on the competitor. To know for certain, they recommended you brought in proof of the price to a local Apple Store and made sure the item was identical. If the model and specs match 100%, then they will do so, but do keep in mind that a lot of times, it’s hard to match the specs as most competitors won’t list it in their ads in some cases. Price matching is available via the online store as well, but to receive it, you must contact the company via the online chat. Just be prepared to have a live link, showing the price of the lower price. Some exclusions do apply. Refer to the company’s official website for more information. I couldn’t find anything on the official website, but when I called, they said they will price match a nearby competitor as long as the part is identical and from an approved competitor. This could include O’Reilly Auto Parts, Advance Auto Parts or NAPA, for instance. However, they will not match any online retailers, such as Amazon and RockAuto, for example. For more information, do refer to your local store if interested in a price match. Source: I called and spoke with a local manager. As per the company’s official website, they will match a published price as long as it’s currently listed on an authorized, US-based retailer’s website. The item must be identical, in stock and in new condition for the price match guarantee to apply as well. For more information, just contact the company within 48 hours of purchase and they will credit your card the difference. In short, Barnes and Noble WILL NOT price match any competitor’s price, including Amazon.com or even its own website. If you already placed your order, the retailer also notes they are unable to adjust the pricing. Bass Pro Shops is “glad” to match competitors as long as the prices are current, dated and nationally advertised. As with most of these price matching policies, there are a variety of exceptions that apply, which you can view via the URL below. All prices must be verifiable, and in the case of matching a price online, it can be done by e-mailing customer service. To price match, you can either visit a local store and present the qualifying ad/website to an associate or if you’re making the purchase online, then you can either email the company or call them direct at 1-800-GO-BEYOND. To successfully price match, the product must be identical and from a major retailer. Additional exclusions do apply, so make sure you refer to the terms and condition source for more information. According to Best Buy’s official price match page, they note that they “won’t be beat on price” and will match the product prices of key online and local competitors. At the time of the sale, Best Buy will match all local retailer competitors, including their online prices and even match products shipped from the following major retailers: Amazon.com, Bhphotovideo.com, Crutchfield.com, Dell.com, HP.com, Newegg.com, and TigerDirect.com. The company will also match all in-store purchases to prices found on BestBuy.com. Best Buy will not match online prices of retailers not listed in the “Special Considerations” section, nor will the match cellphone contracts, products shipped from third-party vendors, pricing only available due to a loyalty offers or a competitor offer including a special offer promotion (i.e., trade-in, financing, bundling, etc). There are a lot of limitations, so I do recommend you check out the FAQ to learn more about it. But in the end, Best Buy DOES price match as long as it’s a straightforward purchase, with no special purchase requirements and comes from a major retailer. B&H was quite vague in its price match policy, stating that you should contact one of their representatives via Live Chat if you have an issue with their price. When I talked with a representative, they claimed that they try to say “yes” as much as they can, but they cannot do so everytime as there are limitations. 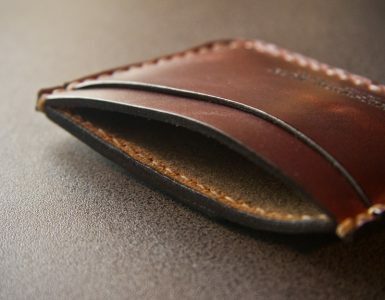 However, from the looks of it, as long as the price match comes from a large reputable retailer and isn’t sold via a third-party, you shouldn’t have a problem getting the price matched. Your results will vary, however. Glancing at the official Bloomingdale’s website, I could only information in regards to making a price adjustment only made in-store or online at Bloomingdales.com within 10 days of the purchase. 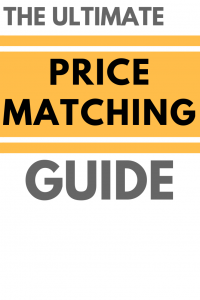 I could not find anything in regards to price matching, but when I contacted a representative, they stated they do not match competitor prices, just the price adjustment as referenced. I could not find any information on the official company’s website, but according to a representative, they said they are unable to price match any competitors, including their own website. The Buy Buy Baby has a price match promise, simply stating they will match prices as long as the item is identical and is from an approved competitor. To price match, request a price match in the store while providing proof, or in the case of buying online, talk with one of the Customer Care Representatives for more information. Exclusions do apply and it’s either the coupon OR price match, whichever is best. For more information, refer to this FAQ. Cabela’s “legendary guarantee” states that as long as you find a lower advertised price within 100 miles of the store, they will match the price as long as it’s an exact match and can be verifiable. Restrictions do apply, and like all of these retailer’s price match policies, it must be an identical model. According to the official 1-800-Contacts website, the company will beat any price on every product by 2%. And when I glanced at the terms and conditions, the product must be the EXACT brand, in stock, and this policy only applies to contact lenses. With more exclusions, please refer to the “unbeatable price guarantee” for more information. As you probably already know, Costco is a unique store in the way they offer items. Since they offer most items in bulk, you won’t find most of their items elsewhere, and because of this, Costco DOES NOT offer to price match. 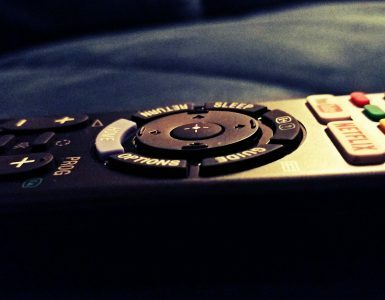 The company strives to bring you the lowest prices and if you’re ever dissatisfied, you can bring back a purchase for any reason for a full refund. If you see a better price elsewhere, Crutchfield says they “might” be able to match it. The official help center notes they will match the delivered price at most manufacturers and retailers, including Amazon, Best Buy, BHPhotoVideo.com and SonicElectronix.com. As for other retailers not listed, your results may be mixed. As always, the product must be identical, in stock and shippable. Exclusions do apply, so be sure to refer to the source URL below for more information. While CVS will accept your typical manufacturer coupons, they will not price match a competitor’s price as per a representative I spoke to. This policy applies to in-store purchases, online as well as the pharmacy. Dillard’s is quite strict with its price matching policy, stating they DO NOT match prices nor do they make price adjustments. According to the official Dell website, Dell will match the price as long as it is an identical product and is listed via a qualifying retailer website. This is not considered to be a full list and is subject to change. Do refer to the official source below for more information. Since computers and electronics can be a bit trickier due to the customizations, the key specs need to match 100%. Restrictions do apply and are listed on the source URL below. To take advantage, you can either start a chat on the official website or call Dell direct. Through its “Low Price Guarantee,” Discount Tire will beat the competition’s lower, installed price and will work hard to offer you the best deal. If you find a lower advertised price on an identical item, feel free to bring it into a local center or use the “Found it Lower?” link on the official website and a representative will contact you. Discount Tire does state that you should be careful when price matching as some retailers have hidden costs, so make sure you know of the exact price when submitting. Exclusions do apply, so please refer to the official source for more information. Dollar General will accept certain coupons as long as they meet certain coupons; however, according to the coupon policy page, they will not match competitor ad prices. With a lot of exclusions, refer to the coupon policy for more information in regards to which coupons they accept if you want to use one. Just bear in mind they don’t match competitor prices, though. The official DSW website does not implicitly state if they price match, but when I spoke with customer service, they said two things. For one, DSW online WILL NOT price match, but in store, they will as long as the exact same shoes, size and color. You must also bring in the ad with you, and the store will not match any third-party seller pricing. The official website didn’t indicate if they would price match or not, but when I talked with a representative over the phone, they said they DO NOT price match. The official Foot Locker website doesn’t indicate whether they price match or not; however, I did find multiple social media conversations stating they DO NOT price match. And if the competitor’s price is still lower, even after applying the Fry’s coupon code, then they will discount their price by 110%. Fry’s also offers what’s known as the “30-day price match promise,” which is a policy where Fry’s will refund you 110% of the difference if you see a lower price elsewhere within 30 days after your purchase. I could not find any information on the Gamestop official website, but when I called, they said they do not price match anything, including its own website in some cases. However, if you want to price match Gamestop.com in store, the results seemed to be mixed and greatly depends on the manager and your situation. Some have luck, while most said they were denied. In the end, plan on paying the price noted in store. According to the official GNC website, the company will match the price, but it must be identical to the item being purchased. While in store, just show the associate a valid flyer to receive your savings. Exclusions do apply, such as not matching wholesale warehouses or an unapproved retailer. Do refer to the URL below for more information. At any time, if you find a lower price for an identical product at any approved retailer, either online or in print, then Guitar Center will gladly match at the time of the purchase or within 45 days of your purchase. When matching prices online, it can be done; however, you will need to either contact them online or call them directly at 1-866-498-7882. Exclusions do apply, so please refer to the official source below for more information. Harbor Freight wants you to get the “guaranteed lowest price,” guaranteeing the lowest price. The company, as per this coupon page on the official website, will beat any competitor’s price, even an advertised special, within ONE YEAR of purchase. All you need to do is in bring in proof of the competitor item that matches the Harbor Freight item to qualify. Refer to the source URL for more information. According to a PDF I found online, the company will match a competitors’ lowest advertised price either at the time of purchase or within 30 days. To be eligible, it must be the same item, in stock and only applies to certain brick-and-mortar retailers as well as online websites. The official Hobby Lobby FAQ page notes they will honor competitor in-store ads as long as the item is identical; however, some brand restrictions do apply. For example, they will not honor holiday door buster ads, Cricut, Silhouette, Sizzix, Cuttlebug, Simplicity & McCall’s patterns, clearance, and closeout items. The retailer will not match competitor ads online, either. And if you see that the online HobbyLobby.com prices are different, there’s no promise the brick-and-mortar store will match these prices. Exclusions do apply. Be sure to refer to the official FAQ page for more information. If you’re shopping online via the HomeDepot.com, the retailer will match the price of the item plus the shipping cost as long as it comes from a competitor. As for in-store purchases, Home Depot WILL match the price as long as it’s identical and comes from a competitor. Just bring in the ad or a photo for validation and the store will do its best to match. Exclusions do apply, such as special orders, third-party, open box, labor/installation, rebates, pricing errors and financial offers, to name a few. You can view a full list of exclusions via the source below. On the official JCPenney website, they say not only will they beat an approved competitor’s price, but they will beat it by 5%, with the exception of appliances, electronics and fitness equipment! As long as you price match within 14 days of purchase, you can do so either at a local JCPenney store or even online by calling customer care. Exclusions do apply, such as matching third-party sellers, auctions or deal-like websites. The official website, JoAnn.com, does include a price match policy. And according to it, the retailer will match certain items, with some exclusions, however, such as seasonal items, patterns or items found on JoAnn.com. As long as the item is identical and comes from a nearby competitor, then you will have a good chance at getting the price matched. For more information, refer to the official FAQ. Upon request, Kohl’s WILL match a competitor’s in-store price and Kohls.com online pricing while in store. The item must be identical as outlined via the company’s official price match policy page. To price match, you will either need to present the same exact item on Kohls.com or present a local print copy of a nearby competitor, showing the exact item. Prices will not be matched during certain sales week and customers cannot apply coupons to price matched items, nor can you redeem Kohl’s Cash or Yes2You Rewards. While Kroger will accept authorized manufacturer coupons, the store WILL NOT price match competitors. I couldn’t find this information on the official website, but when I called, they said they only accept authorized coupons and do not match prices at nearby grocery store chains. Source: I called a local store and asked. When I referred to the official policies page on LordandTaylor.com, the retailer did state they will match the price as long as it’s an identical item. This item, whether it’s a regular or sale price, must be in stock at the time and identical to the item being purchased, including the color and size. And aside from matching prices at major retailers, including Amazon, the retailer will also match its website prices at LordandTaylor.com as well. Some exclusions do apply. Refer to this URL for more information. Lowe’s, just like its major competitor, Home Depot, WILL price match as long as it’s an identical product (brand, size, model number) and is from a local or online retailer. To take advantage, you can either shop online via Lowes.com and contact a representative, or if you shop in store, provide an associate with a printout or smartphone display, verifying the lower price. The price match is good for 30 days, but as always, many restrictions apply, such as restricted brands and who they deem a competitor. Refer to the URL below. Macy’s is “happy” to offer a price adjustment from either its online website, Macys.com or if you find a lower price at an approved competitor. 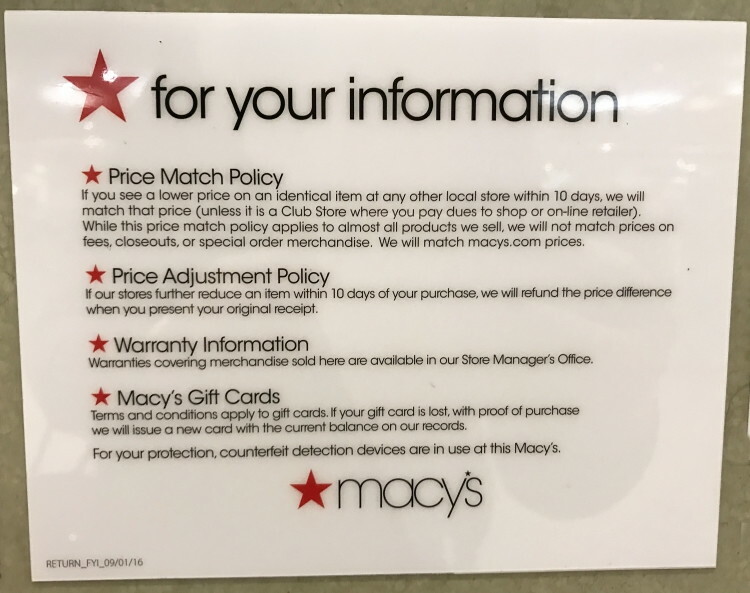 If you see a lower price on an identical item at any local store within 10 days, then Macy’s will match the price; however, they will not match a club store or any online retailer. Also, Macy’s will not match prices on fees, closeouts or special order merchandise. Just bring in the advertisement and show the associate before making your purchase to receive your adjustment. Mattress Firm is so confident you will choose the right mattress, they give you 120 nights to sleep on it and also offer the low price guaranteed. If you find an advertised price lower than theirs, they will beat the price by 10% or else your purchase is free as long as it’s the same or a comparable mattress set. To take advantage, just bring in the advertisement, and the company will mail you a refund check, plus the 10% difference in the total price within three weeks. For more information, you can visit the official “price guarantee” link. The Meijer price match policy, as per the official website, is simple: the store WILL NOT match ads from competitors. However, like most grocery stores, they will accept legitimate manufacturer coupons. According to this PDF, Menards will honor price matching on certain types of ads. And according to the guidelines, you do not need to provide a competitor’s ad, but the item MUST be identical (size, quantity, brand, flavor, color, etc). To know of the exclusions and what they do match, please refer to this URL. Michaels will accept competitor coupons as well as match a competitor’s in-stock item price AND beat it by 10%, either at the time of purchase or within seven days. To do so, just make sure you bring in a photo, printout and/or ad for proof of validation. Michaels, however, cannot stack other coupons on top of the price match. Multiple exclusions apply, but as long as the item is identical and comes from a competitor, you should be okay. Refer to the URL below for more information. The FAQ on the official Microcenter website didn’t say anything about price matching, but when I called, they said they would, but there were restrictions, such as the retailer you want to match. I did find this full list of retailers on Slickdeals that they may match, but again, your results will vary, so I HIGHLY recommend you call ahead of time to avoid wasting your time. In the end, be prepared to receive a price match as long as it’s an identical item with no stipulations attached. It must also come from a large brick and mortar-based retailers, not a mom and pop-like shop, either, from what I heard. If you have any experience, do let me know and I can update this. Nothing could be found on the official website at first glance, but when I talked with a representative, they said they DO NOT price match any items. As long as you purchase an item with the “Price Match Guarantee,” you will be able to receive a one-time price match within 14 calendar days. To take advantage, Newegg just wants you to let them know about the price match and they will send you a Customer Care Card to cover the difference. This price match policy, however, is NOT valid on exclusive Newegg major sales events, including the Fantastech, Black Friday, Cyber Monday and Green Monday sale. Other restrictions apply as well, which you can see via the source URL below. Nordstrom WILL price match as long as it’s the same color, size and in stock at the local national competitor you want to price match. Of course, restrictions do apply, including no outlet, discount, flash sale, auction or matching from club websites. Other restrictions do apply, so please refer to the source below for more information. As for those who already made a purchase, Nordstrom will match the price within 14 days of the shipment/purchase date. The official Nordstrom Rack FAQ page states they will match a competitor as long as the item is identical. However, they will not match a price from an auction-like site or other retailers’ discount promotions, shipping offers and gift card offers. All items must be identical, brand new and come from a competitor as listed above. The item must also be in stock at this nearby competitor as well. And in order to take advantage, the retailer asks that you bring in proof and have the exact model on hand. For print jobs, you must receive a printed quote. Exclusions do exist, most of which were noted at the beginning of this guide, but do refer to the URL below for confirmation. O’Reilly, as per the official website, WILL NOT match competitor prices if you shop online. However, if you plan on making a purchase in store, the retail locations will match the price of most local competitors. For more information, talk with a local store for more information or refer to this official documentation. While the official help center does not talk about price matching, I did talk with a representative and they said they will not price match. PartyCity.com doesn’t say anything in specifics to the price match policy, but according to a representative, they said they DO NOT match prices. The official Pep Boys price match policy page has a few guidelines in regards to their price match policy. For starters, the retailer will match any local competitors’ advertised or every-day price on any comparable merchandise within 30 days of purchase. As for tires and service, the retailer will also match, but in the case of tires, you have up to 90 days to receive your price match. This policy does have exclusions and will not extend to certain purchases, such as special orders and competitor special offers, for example. Refer to this URL for more information. As per the official Petco “Terms and Conditions” page, they specifically note that they will gladly match the price if you find something lower at a competitor, including sale and regular prices found on the official website, Petco.com. However, some exclusions apply as the store will not match online website prices on amazon.com, chewy.com, jet.com, petsmart.com, walmart.com, wag.com, target.com and any other reputable online pet supply retailer. Refer to the terms and conditions page mention to know about the restrictions if considering a price match. If you happen to find an item in the store that’s cheaper at another competitor, PetSmart WILL match the price as long as the item is identical and it comes from an approved competitor. However, they cannot match Amazon, eBay or other discount-type sites. Restrictions do apply, so please refer to the source URL below for more information. Since all Pet Supplies Plus locations are independently owned, you will have to contact your nearest location to see if they price match. In most cases, it appears that most will; however, you will have to call to confirm or even reach out to them on Facebook as it appears they are quite active there. Like most grocery stores, Publix will only take legit manufacturer coupons and WILL NOT price match competitors, according to a company representative. However, the store may accept competitor coupons, but to be certain which ones they do accept, talk with a local store for more information. I talked with a customer service representative, and since the company is considered a “co-op” and wants to focus on their members, the company DOES NOT match any competitors. Rite Aid, like its competitors, will accept manufacturer coupons; however, in terms of an official price matching policy, it appears they do not have one, with the exception of them saying they will not match RiteAid.com prices in a Rite Aid store. And according to some customers, it will greatly depend on the manager on duty as some will accept the price of another store if you have the flyer with you, while other managers may deny you. It really depends on the manager on duty. Sam’s Club says it’s committed to providing the “absolute” lowest prices to its Members and if you want to request a price match for an online or in-store purchase, they simply ask you to talk with a manager in store or contact support if making the purchase online. Because of this, your results will greatly vary. While it’s not guaranteed, it appears that the retailer will match Walmart prices, but as for other competitors, you will have to speak with them for confirmation. The official Sears “price match” policy page notes that if you find a lower price at a competitor for an identical product/brand, then Sears will match the price. Just bring in the original advertisement as proof and let the associate know at the time of purchase. As for online retailers, Sears will match the lower price, including any costs for shipping and handling, as long as its an identical brand and the model number is available. Price matching can also take place either online by calling Sears direct at 1-800-349-4358. As always, exclusions do apply, so be sure to refer to the link below for more information. According to a company representative, Sephora will price match either at the time of purchase or within five days of a purchase. The company WILL NOT match Amazon but will consider local competitors such as Bloomingdale’s, Neiman Marcus, Barneys, Saks Fifth Avenue and Nordstrom. If purchasing online, chat with a representative for a price match consider, or in the case of shopping in the store, you need to have proof of the item being on sale elsewhere. All purchases must be identical and some restrictions can apply. Talk with an associate for more details. According to the official price matching page, they state you won’t pay less anywhere else. Available in store only, find the lower price for the identical item, bring in the proof and present it to an associate to receive the instant price match. The said item must be identical, meaning the model number, components and U.S. warranty must be 100% the same. The item must also be in stock at the time of the price match. If you find a lower price, then the store will match the price as long as it comes from a nearby competitor, such as Amazon.com or any retailer who sells products in a retailer store and online under the same brand. 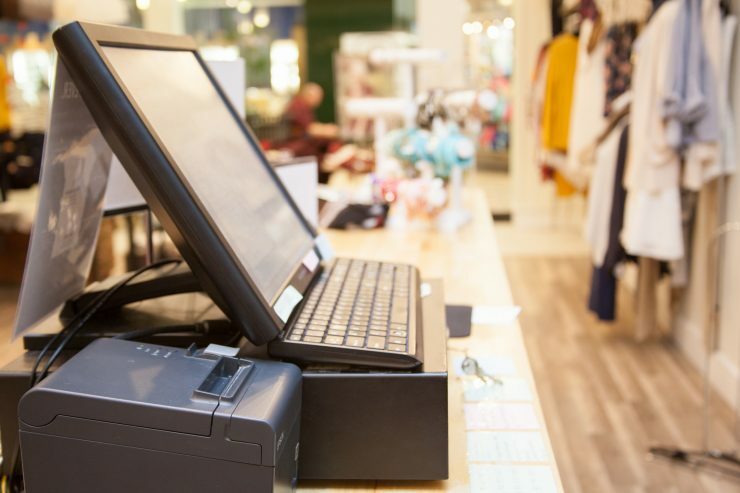 Staples states they will price match for almost everything they sell, with the exception of some items, such as local events, tech services, print services, third-party vendors, custom print products, gift cards, errors and contracted prices, to name a few. Refer to the official URL below for more information. All in all, as long as the item is identical and comes from a local brick and mortar retailer, you should be good to go. This list can change, so please refer to that PDF sourced earlier or talk with guest services before going to the store or buying online. If price matching at Target, it must be done at the time of purchase or 14 days after the purchase as long as you bring in proof. And with most of these retailers, restrictions do apply. The item must be identical, come from a competitor and you must provide evidence, such as a store ad. Target will not match clearance, closeout, damaged, open package, error pricing, mobile phone contractors, third-party seller marketplace offers, alcohol and more. Do refer to the source below for a full list as there are many. According to a representative on the official website, they said the company will not match prices. Tractor Supply guarantees you will never pay more at the store, and if you want to price match, they will do so as long as you follow the guidelines. In order to price match, the price must be valid, in stock and come from an approved competitor. With a list of exceptions, do refer to the URL in the source to see what the retailer will not match. I could not find anything in regards to a price match policy on the official Ulta website; however, when I called, they said they do not price match nor do they make price adjustments. If you plan on making a purchase, be well aware of the price adjustment and price matching policy as it tends to be one of the strictest on this list. As per the official company’s FAQ page, the company will match any competitor’s price as long as it’s the same exact item, in stock and you can prove it with an ad. If purchasing online, the company asks that you contact a representative via chat, or in store, you can simply show the employee the ad. The retailer will not match Amazon Prime pricing or promotional or sales items. Other exclusions apply, which you can view via the source below. While Walgreens will accept manufacturer coupons found in the local newspaper or via a reputable website, such as Coupons.com, they DO NOT adjust prices based on competitor prices. Walmart, the nation’s #1 brick and mortar retailer, is committed to providing low prices every day, on everything. And as per its FAQ, Walmart stores DO NOT match prices; however, if you see a price lower on Walmart.com, you can speak with a store associate to receive full details or purchase item online and see if you can pick it up in the store. So, there’s no guarantee here. While this can be extremely discouraging, it doesn’t mean you can’t save or take advantage of price matching at Walmart. If you haven’t done so already, download the official Walmart Savings Catcher app — an app where you can earn rewards if Walmart finds an item on your receipt from a nearby competitor. If the price was cheaper, then they reimburse you the difference in the form of an eGift Card. To use, download the free app and make it a habit to upload your receipt after each purchase. Then, just sit back and wait to see if Walmart was able to find a lower price. If they do, you will be alerted and will receive the difference. I could not find anything on the official website, so I decided to call a representative to ask about their price match policy. In response, the representative said the company will adjust a price if you find it lower within 30 days via their official website, but they will not match competitor prices, period. To confirm, though, I do recommend you talk with a representative for clarification if you intend to make a purchase. Source: I called, but you can check out the official Help Center for more information. 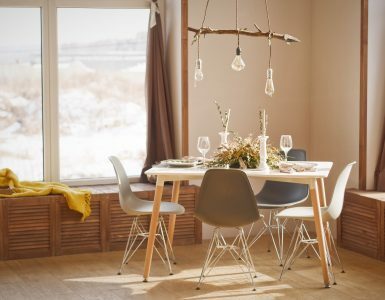 The official Williams Sonoma “price match guarantee” page states that they do match the prices of new products sold through Amazon, Sur la Table, Bed Bath and Beyond, Bloomingdales, Macy’s, and Crate & Barrel. This guarantee is valid for online and in-store purchases only, and if you plan on making a purchase via the official website, then they do ask that you email a copy of the ad and/or link to customer support. You can find more information here. Multiple exclusions and certain terms and conditions do apply. For more information, refer to the source URL below. When I glanced at the official FAQ page, Zappos did indicate they will refund you the difference in price if you see the price drop on their website within 10 days. However, if you want to price match a competitor, a representative told me they do not price match since they are considered an “MSRP retailer,” BUT it doesn’t mean they won’t match. In some cases, you can ask the representative to see if they will match as a one-time courtesy. About 8,000 words later, I’m done researching the most popular retailers. And if you feel I missed a retailer, let me know and I will be sure to research the policy and include it in the guide. In the end, your results will be mixed, but for most stores, you should expect them to at least price match. And if you’re lucky enough, you can get them to beat the price by a certain percentage. Your results will vary, and again, if you do decide to take advantage, be sure to refer to those official URLs for more information.